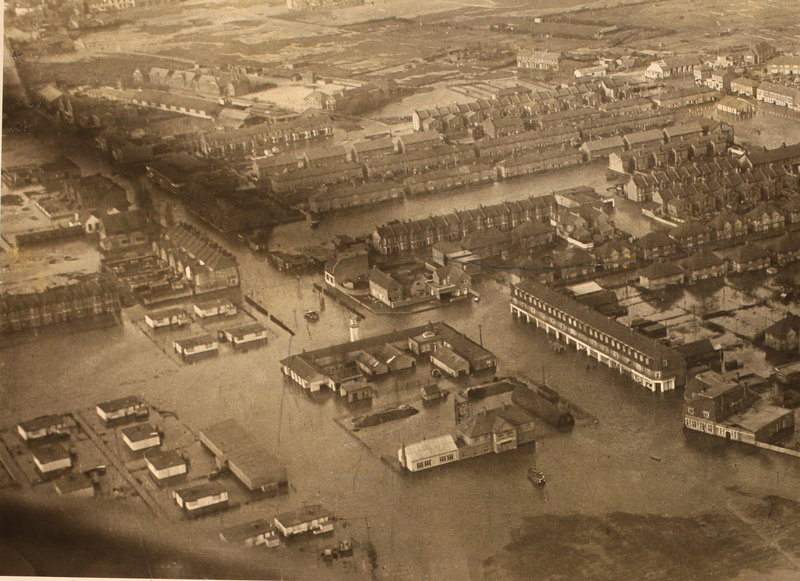 During the night of January 31st, many of the lower-lying districts of eastern England were overwhelmed by a devastating flood. 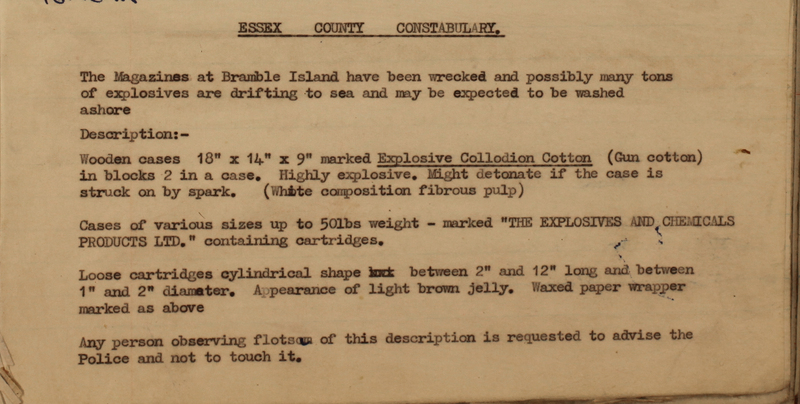 So begins the narration to a documentary created by the department that later became the Essex County Council Educational Video Unit about the 1953 floods (VA 3/8/4/1). 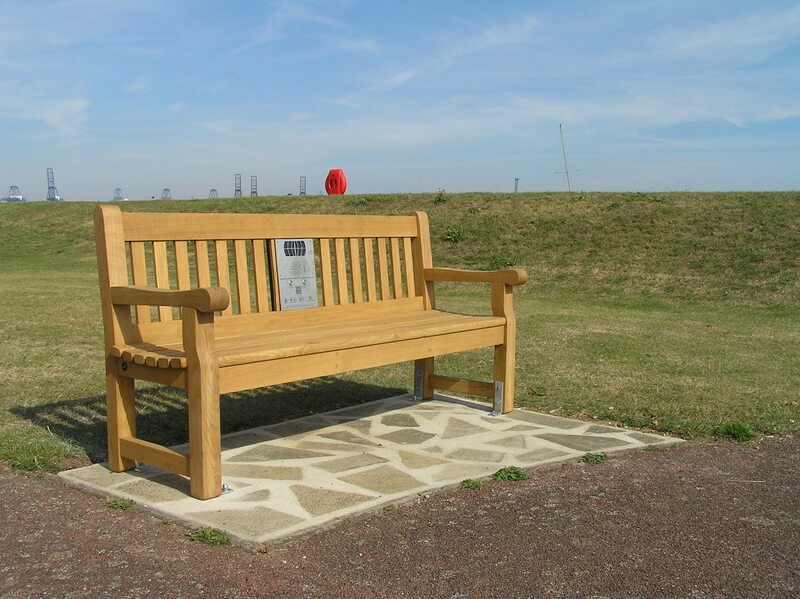 The documentary focuses on Canvey Island, which was severely hit by the floods, and was put together from film footage taken at the time. The floods caused terrible suffering: people drowned or died from exposure to the bitter cold, waiting on islands of rooftops to be rescued; houses and possessions were ruined; livelihoods destroyed. But is there a purpose in holding commemorations year after year, making the same observations, telling the same stories? 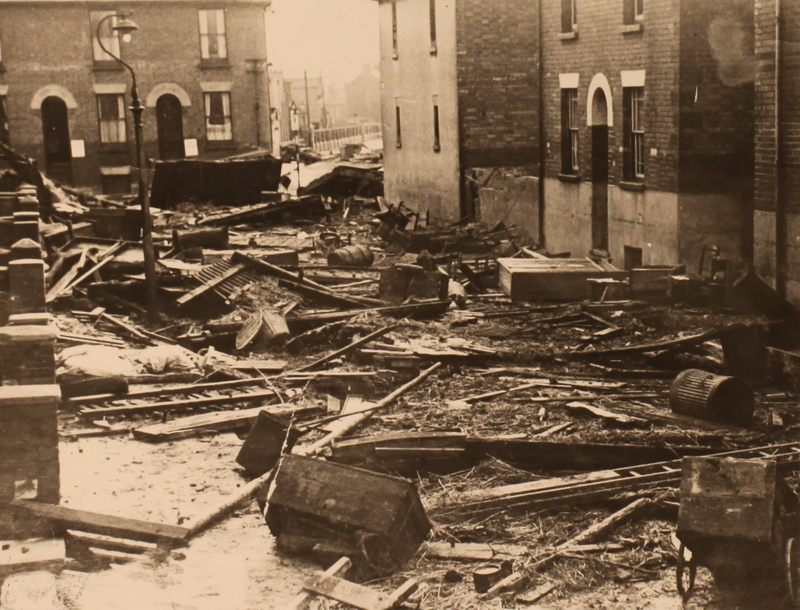 We could point you to a blog entry we wrote in 2013, on the sixtieth anniversary of the floods. It cites some staggering figures of the losses suffered, illustrated by harrowing photographs showing the full extent of the flood. Is there anything more to say four years later? Recent bad weather no doubt brought back the full fear of flood to coastal residents, particularly those who were evacuated from Jaywick. The sea defences are vastly improved, particularly with the sea wall erected round Canvey Island, but we can never guarantee safety from the threat of flood. 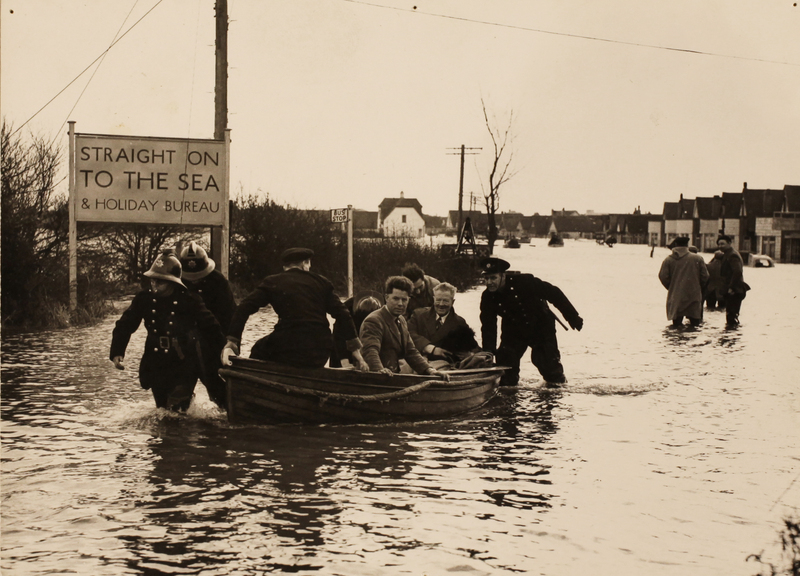 Can the history of the 1953 floods help us when facing such threats today? One of the audio-video kiosks touring the county for our You Are Hear: sound and a sense of place project is currently visiting Canvey Island Library. To prepare for this, we have been digitising sound and video recordings about the floods in the Essex Sound and Video Archive, including the documentary mentioned above. Listening to memories of the survivors and those who helped the rescue efforts, like watching the contemporary film footage, gives greater impact to studying the events. Hearing the emotion in people’s voices, learning about individual experiences, brings the history to life as no text book can do. 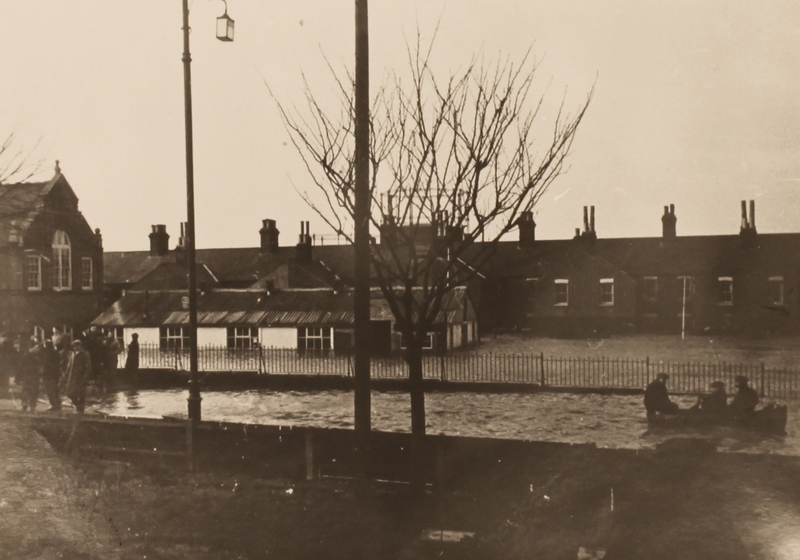 Listen to one woman’s memories of that terrible night in this clip from a special BBC Essex programme about the floods, ‘Tide on Tide’, first broadcast in 1988 (SA 1/313/1). More than that, people’s stories of the clear-up efforts can teach us lessons if facing similar catastrophes. The documentary shows people rowing for their lives to bring people to safety, helping at rescue centres, pulling together to rebuild the sea wall. Much of this work was done by the Army, the police, and voluntary organisations, but members of the public also pitched in to help. It is encouraging to see how whole communities came together in the face of danger. And how many smiling faces can you spot in the film footage, despite the ordeal? 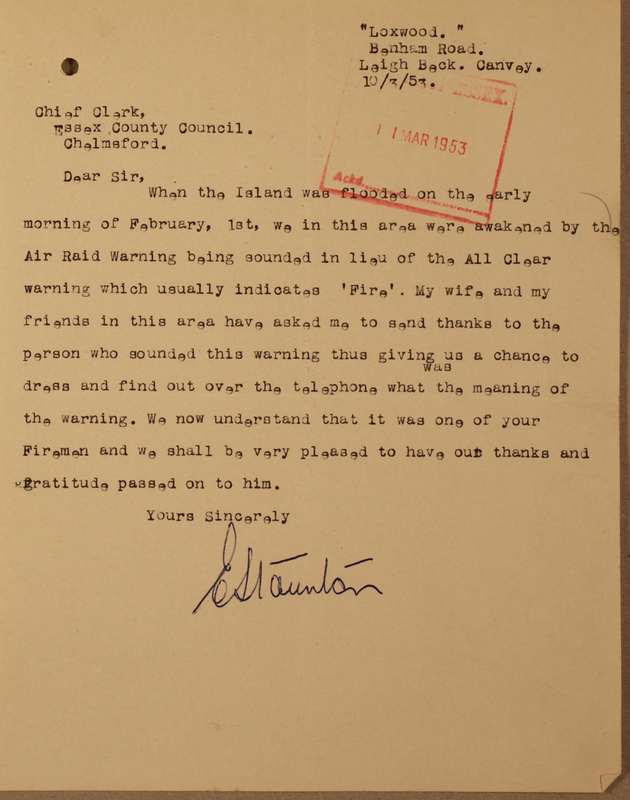 Sir Bernard Braine, then MP for Canvey, praises his constituents in this clip from the ‘Tide on Tide’ programme (SA 1/313/1). One local hero, Winne Capser, illustrates this attitude. In subsequent days, she took it upon herself to rescue pets and reunite them with their owners. We could question whether it was worth the risk. But to the owners, having these non-human members of their families back again was probably a great comfort, and a big step towards returning to normality. Clip of Winne Capser talking about rescuing animals after the 1953 flood. This is from a Sounds of Brentwood feature on the floods produced by Dennis Rookard and broadcast in 2013 (SA 2/1/110/1). It wasn’t just local people who helped: as news spread, people nationally and internationally were prompted to donate clothing, household goods, and food to help families get back on their feet. In Harwich, whole houses were donated from Norway to relieve evacuees temporarily accommodated in caravans on the Green. Another clip from the Sounds of Brentwood feature, this time with Cllr Ray Howard and Fred McCave describing the donations sent from across the globe to help flood survivors (SA 2/1/110/1). 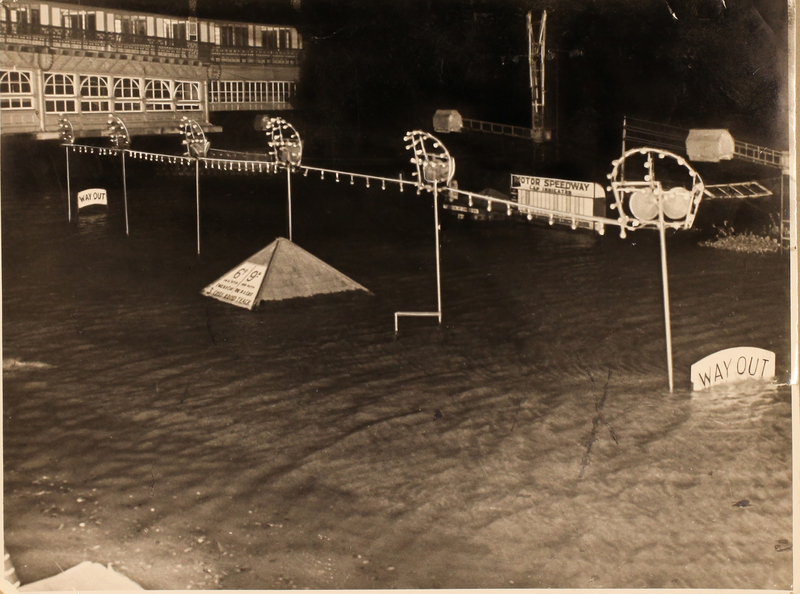 We should also raise questions about how the floods are commemorated. 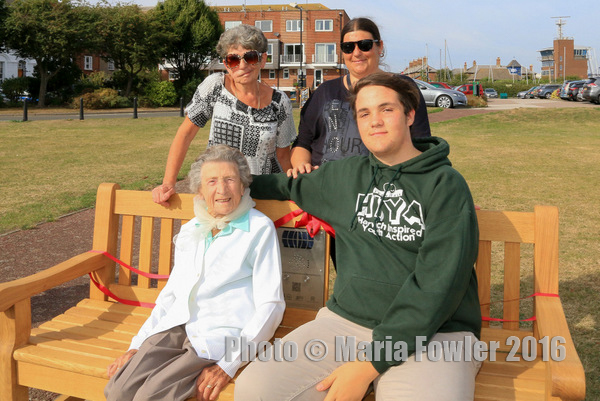 Jaywick lost 5% of its population – but how often is this town mentioned in comparison to Canvey or Harwich? Further clip from the ‘Tide on Tide’ programme, talking about the impact of the flood on Jaywick, and the impact of Jaywick on public consciousness of the flood (SA 1/313/1). We talk about the community spirit, but do we also talk about the police that were put in place to protect against looters in the aftermath? Which stories are absolute fact, and which have turned into folklore? Clip about a thief caught stealing money from gas meters after Canvey Island had been evacuated, from the BBC Essex ‘Tide on Tide’ programme (SA 1/313/1). By combining contemporary film footage, personal memories, newspaper reports, and official documents, we can build up a full picture of that awful night. We can then use this picture for commemorating the local heroes who saved countless lives, and for drawing inspiration to respond to future disasters. You can watch the full documentary and some of these sound recordings through Essex Archives Online. You can visit the audio-video kiosk at Canvey Island Library, or view the same content on our second touring kiosk at Brentwood Library, until they move to their next venues at the end of March. 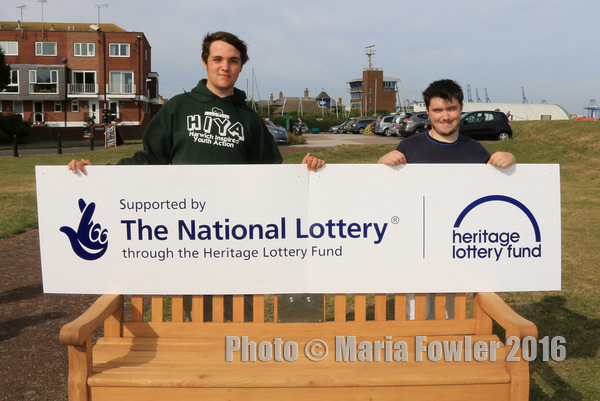 You Are Hear is a three-year Essex Sound and Video Archive project funded by the Heritage Lottery Fund. You can read more about it on our project blog site.